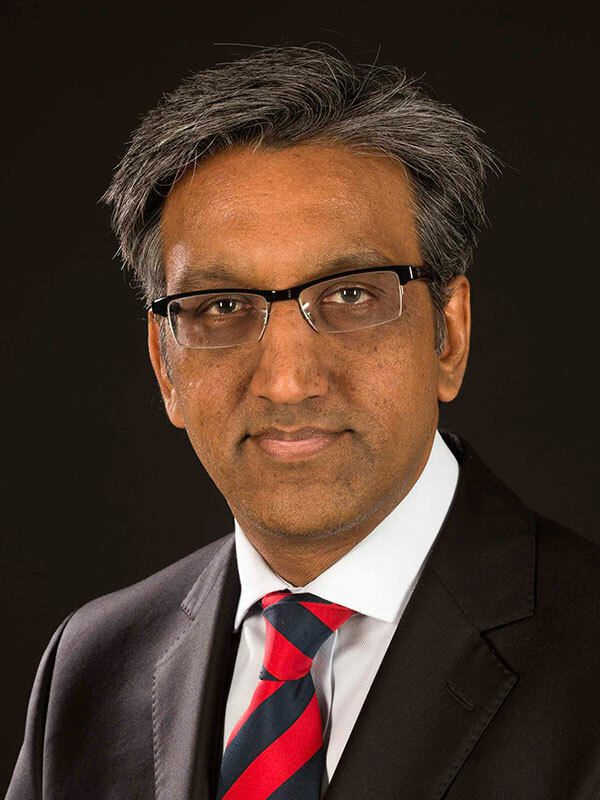 Dr Manjit Matharu is a Senior Lecturer at The Institute of Neurology and Honorary Consultant Neurologist at The National Hospital for Neurology and Neurosurgery, Queen square, London, UK. 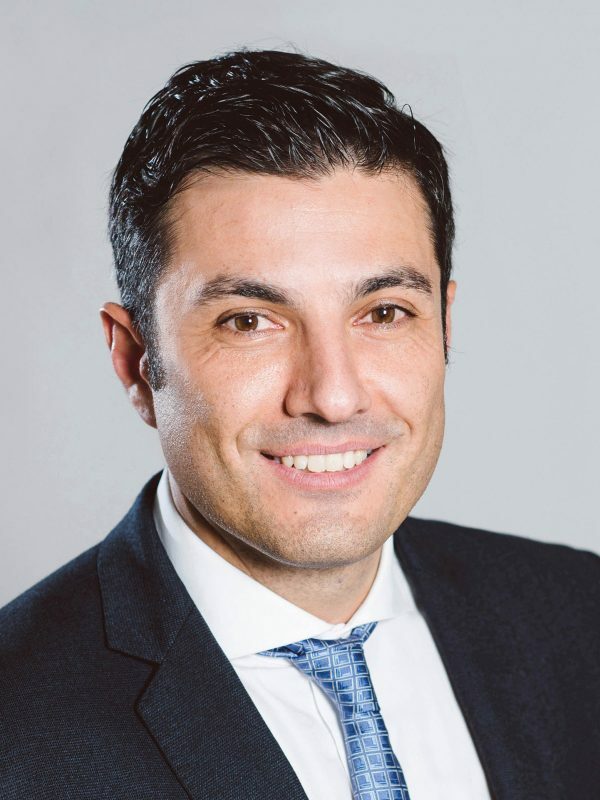 He is the Clinical and Academic Lead of the Headache Group at The National Hospital for Neurology and Neurosurgery and the UCL Institute of Neurology. She trained in London and gained her MBBS in 2003. She undertook her neurology specialist training in Glasgow and developed an interest in headache at this time. 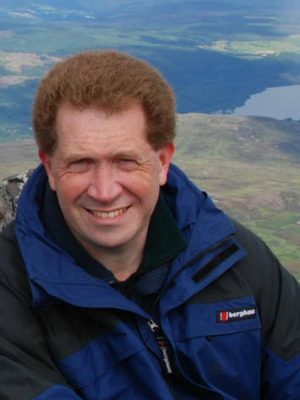 Dr Miller took up a consultant post in Glasgow in 2011 within the West of Scotland Regional Headache Service. She took the decision to move to The National Hospital for Neurology and Neurosurgery in 2012 to pursue a research degree and took up the role of locum consultant in 2014. She has an interest in neurostimulation for intractable headaches and headache education for both academic and clinical students. 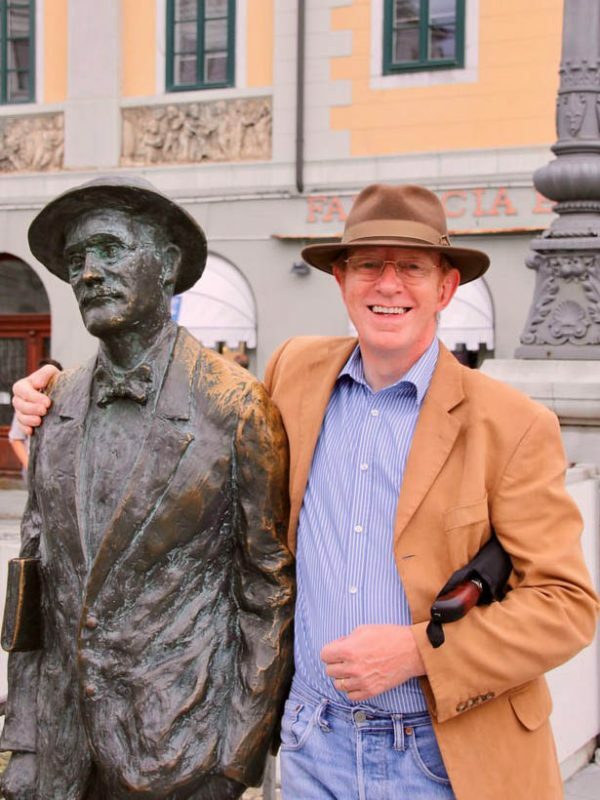 Dr Miller has authored a number of scientific papers and book chapters and has also presented at a number of national and international medical conferences. Dr Fayyaz Ahmed qualified from Dow Medical College, Karachi (Pakistan) in 1986 and moved to the UK after his residency. He was trained in Neurology at the St James’s University Hospital, Leeds and the Imperial College, London and was affiliated with the Princess Margaret Migraine Clinic at the Charing Cross Hospital (1992-1996) where he did his research. 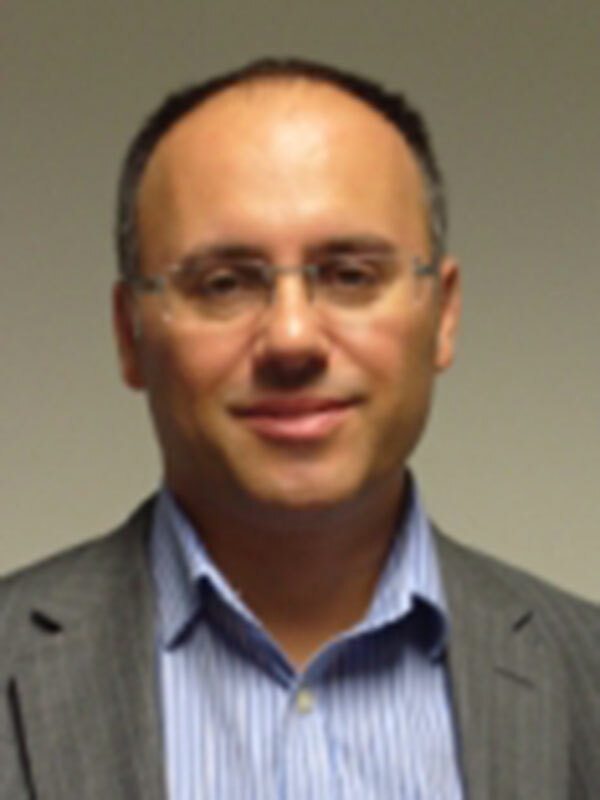 He has been a consultant neurologist at Hull since 1996 where he established a dedicated headache clinic. He was the clinical director for Neurosciences (2003-2011) during which he completed his MBA (exec) with distinction from University of Hull. 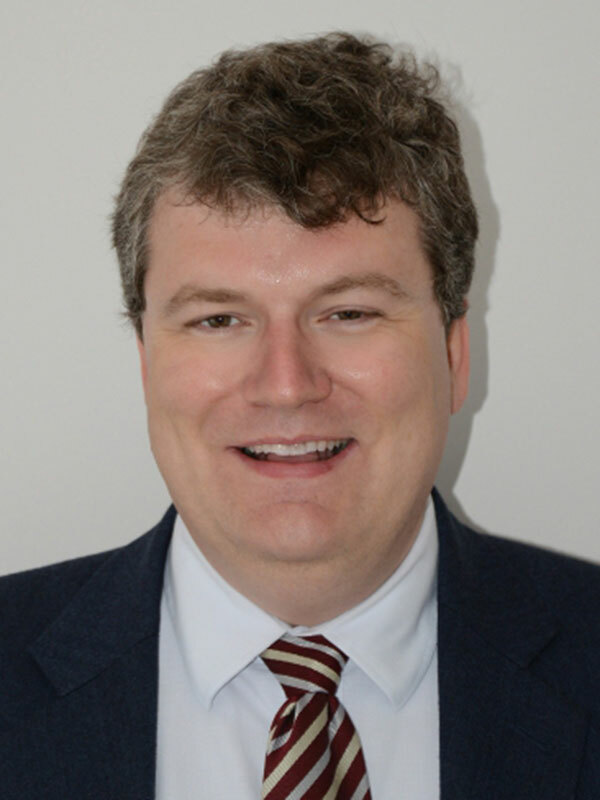 He served in BASH as secretary (2005-2008), vice chair (2009-2010) and chair (2011-2013) and is currently chair of Headache (UK), Trustee of the Migraine Trust and Director at the European Headache and Migraine Trust International Congress (EHMTIC), topic specific member in the NICE headache guidelines (CG150-revision), a member of the ABN headache sub committee and educational officer for BASH. His research interest lies in Chronic Migraine and Cluster Headaches and is involved in headache education in the UK for many years. 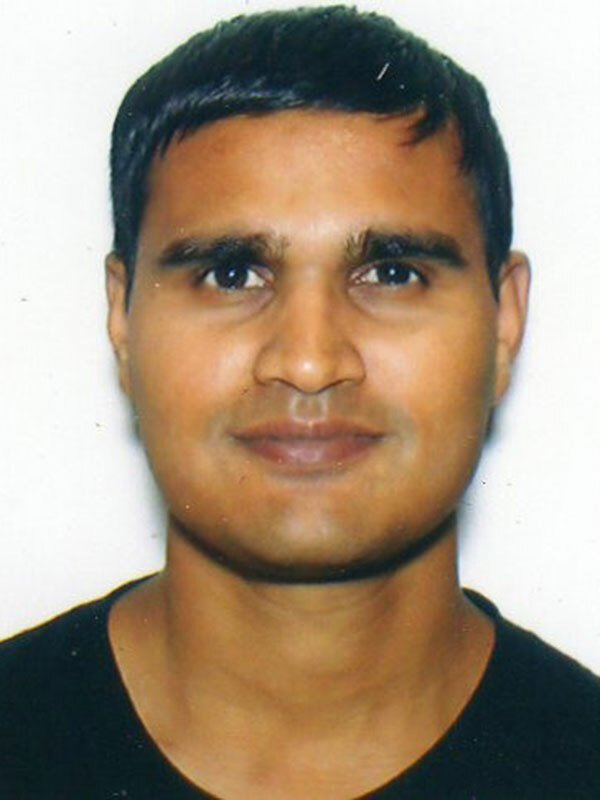 He recently completed his certificate in postgraduate medical education from Hull York Medical School. 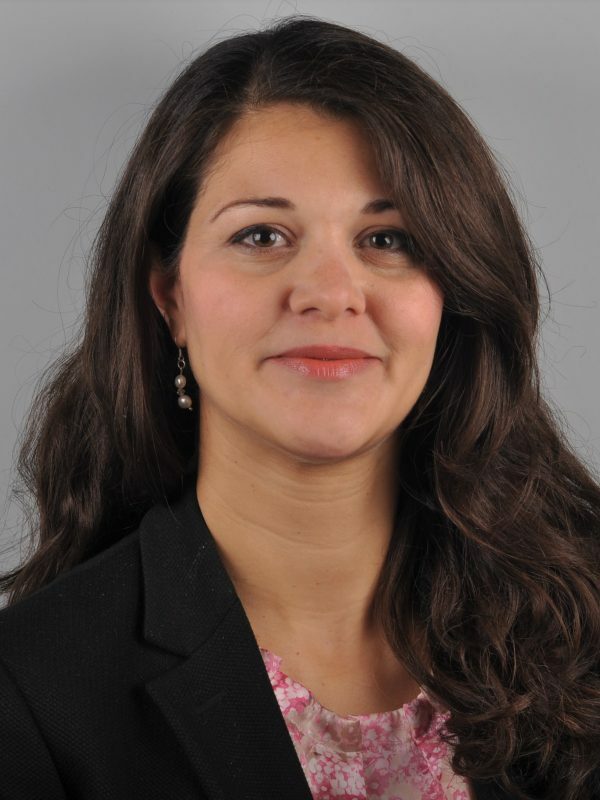 Anna Andreou is the Director of Headache Research at the Headache Centre, at Guys and St Thomas’ NHS Trust and King’s College London. She is also a Lecturer within the Wolfson Centre for Age-Related Diseases, King’s College London. Anna completed her PhD in Neurology at the Institute of Neurology, University College London, before continuing her research at the University of California, San Francisco, and Imperial College London. 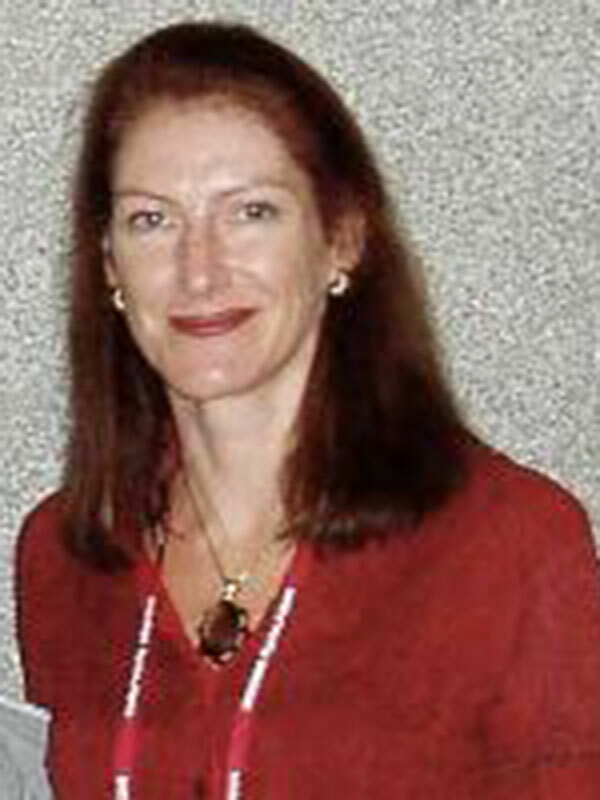 She has received several awards, including, but not limited to, the Senior Research Fellowship of the Migraine Trust, the Research Innovation Award from the Medical Research Council, the Early Research Career Grant from the International Association for the Study of Pain, and the Headache Research Excellence award from the International Headache Society (IHS). Having held the role of Chair of the Trainees and Residents Special Interest Group of the IHS for 4 years, she is currently Chair of the IHS Electronics Media Committee. Her research interests include understanding migraine and cluster headache pathophysiology, and developing novel therapies for the prevention of headaches. Dr Pyari Bose is a Consultant Neurologist at Basildon and Thurrock University Hospitals NHS Trust and The Royal London Hospital. Dr Bose gained his MBBS from the University of Calicut, India in 2002. 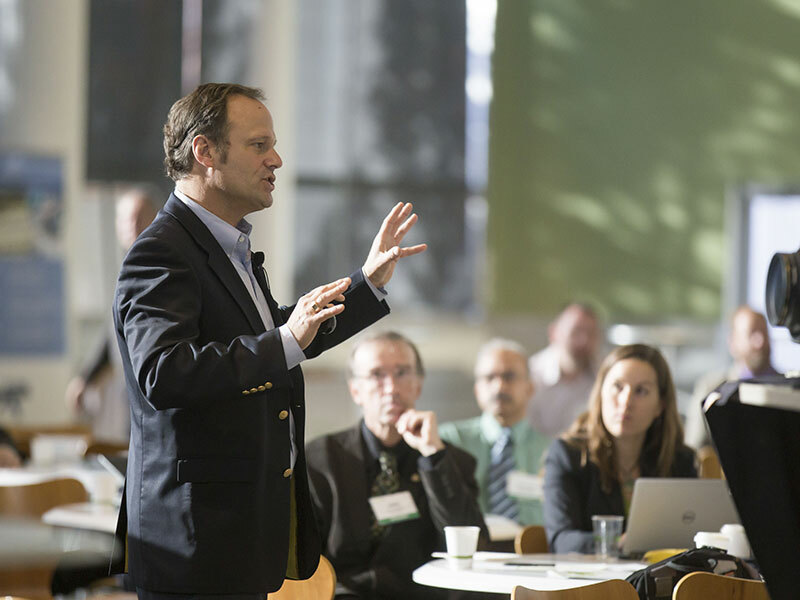 He completed his general medical training in Southampton, Birmingham, Leeds and Hull leading up to the Membership of the Royal College of Physicians (MRCP) in 2007. 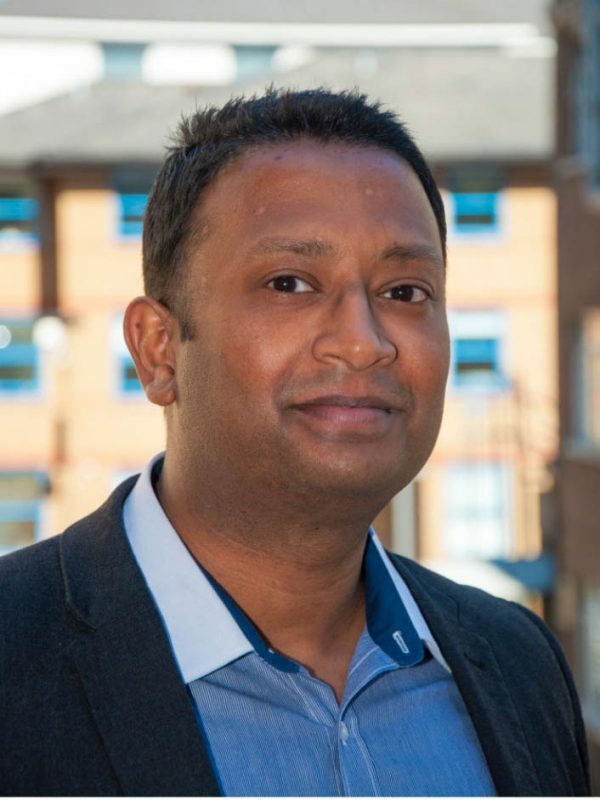 He completed his Neurology Training under the Yorkshire Deanery acquiring his Speciality Certificate in Neurology in 2011 and CCT in 2012.He subsequently did an MD at King’s College London where he undertook research into the postdrome phase of migraine using functional neuroimaging. 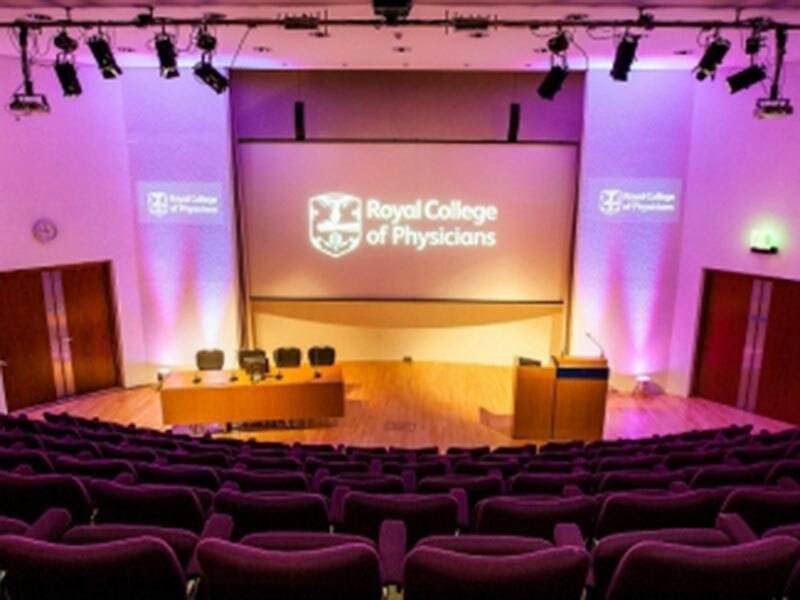 Dr Bose is actively involved in educational meetings to improve awareness of headache management amongst trainees, fellow consultant colleagues and also patient support groups. Dr Pooja Dassan is a Consultant Neurologist, working at Ealing Hospital and Imperial College Healthcare NHS Trust. She is the Clinical Lead of Neurology at London North West University Healthcare NHS Trust. 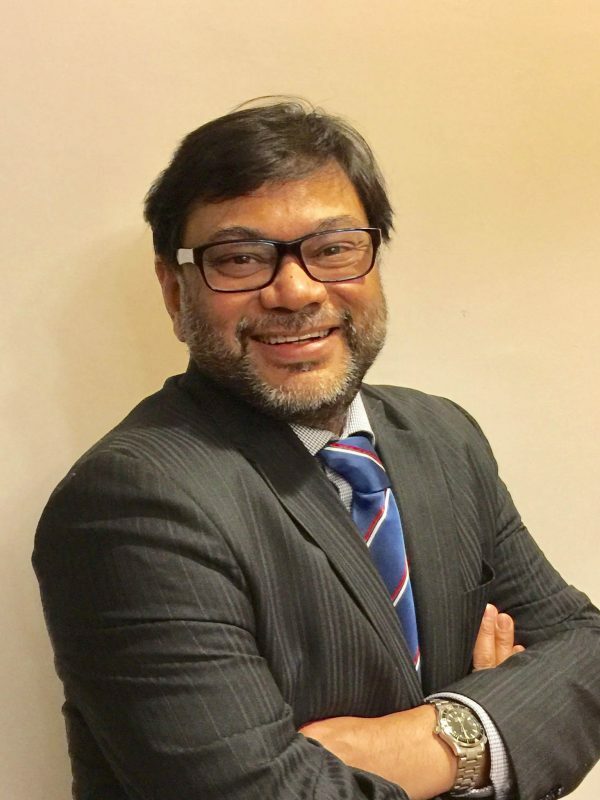 Dr Dassan trained at Guy’s Hospital and completed specialist neurology training in London (Imperial Healthcare NHS Trust, Chelsea and Westminster Hospital and The National Hospital of Neurology and Neurosurgery). 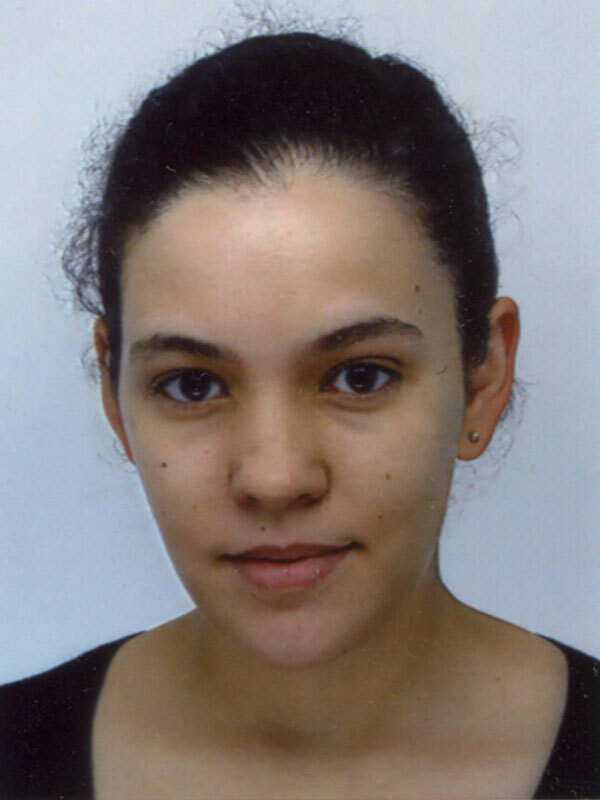 She undertook postgraduate research at The Institute of Neurology, Queen Square. Dr Dassan has developed an interest in Obstetric-Neurology and leads a joint clinic at Queen Charlotte’s and Chelsea Hospital, where she reviews pregnant women with neurological problems; including headaches. 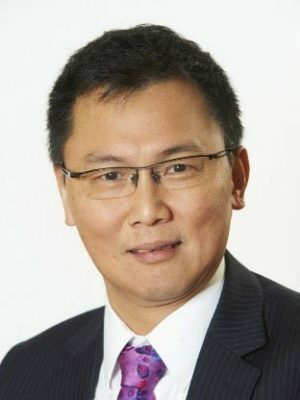 Dr Sam Chong is currently Consultant Neurologist at The National Hospitals for Neurology and Neurosurgery, Queen Square. 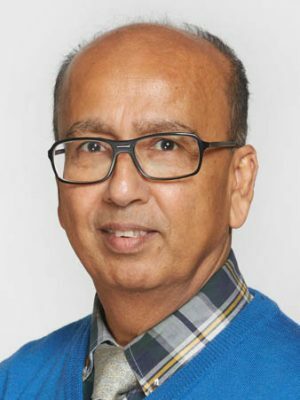 Prior to that, he was Consultant Neurologist at King’s College Hospital NHS Trust, London and Visiting Senior Lecturer to Guys, Kings and St Thomas’ Hospitals School of Medicine since 1997. He was secretary to the SIGN guideline group on Headache in 2008 and chair of the SIGN guideline group in 2018. He is currently secretary of the British Association for the Study of Headache. Dr Giles Elrington qualified at St Bartholomew’s Hospital in 1980 with honours in Surgery, and in Clinical Pharmacology & Therapeutics. He trained in London, Oxford and Southampton. His MD thesis in the late 1980s was on cross-reactive autoimmunity between small cell lung cancer and the neuromuscular junction. Thereafter he attempted to focus on common disease. Thereafter he acquired an interest in headache and since becoming a consultant in 1993 established and ran the headache clinic at the Royal London Hospital (ultimately Barts Health NHS Trust) until 2011, with ongoing clinical trial work mostly in MS at that Trust until 2017. From 2011 until 2014 he was part time medical director of the National Migraine Centre. He was an NHS consultant neurologist in Colchester from 1993 to 2001. From 2001 he has had a portfolio career including private and medicolegal practice, contract work for PCTs & CCGs, and waiting list initiatives. From 2014 he start doing part time agency locums culminating in a part time post in York where he feels his skills as a generalist and diagnostician are recognised so converted from agency work to NHS contract to autumn 2019 when he proposes to retire from the NHS to focus on private and medicolegal practice where the growth area appears to be in defendant instructions. He has been, at various times, Director of the City of London Migraine Clinic, Treasurer of the British Association for the Study of Headache, President of Anglo-Dutch Migraine Association and local ABN representative. 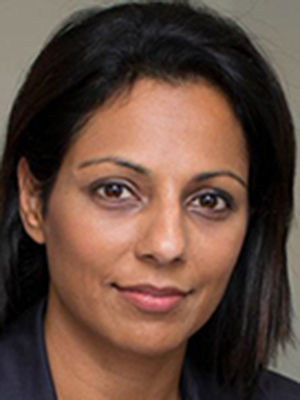 Dr Anita Krishnan is a Consultant Neurologist at the Walton Centre NHS Foundation Trust, Liverpool. Her clinical interests are in the fields of Headache medicine and CSF pathway disorders, especially Idiopathic Intracranial Hypertension (IIH). Along with general neurology clinics and managing neurology inpatients, she also does tertiary specialist clinics in complex headache disorders, has devised the regional secondary care pathways for management of acute headache and approach to papilloedema, and extensively teaches all cadres of medical professionals on recognition and management of headache. She is a member of the Association of British Neurologists Advisory Group on Headaches and the Special Interest group in IIH. 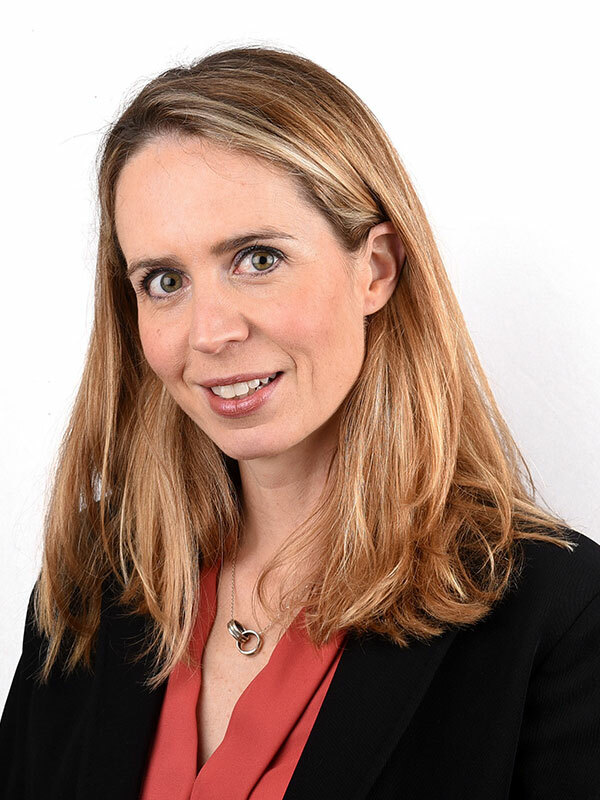 Dr Alexandra Sinclair is a Consultant Neurologist at Queen Elizabeth Hospital, University Hospital Birmingham NHS Foundation Trust and NIHR Clinician Scientist at the University of Birmingham. 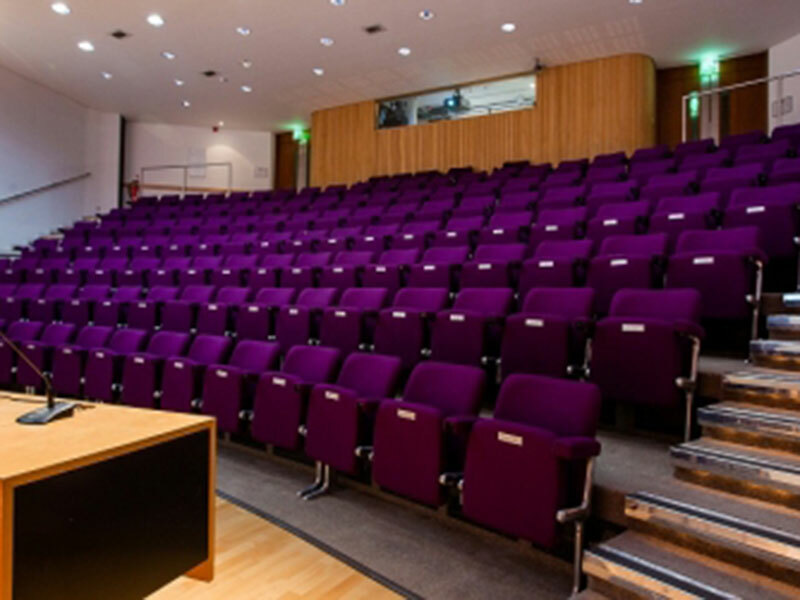 Dr Sinclair gained her MBChB (Hons) from the University Of Birmingham School Of Medicine in 2000 and attained her Membership of the Royal College of Physicians (MRCP) in 2003. 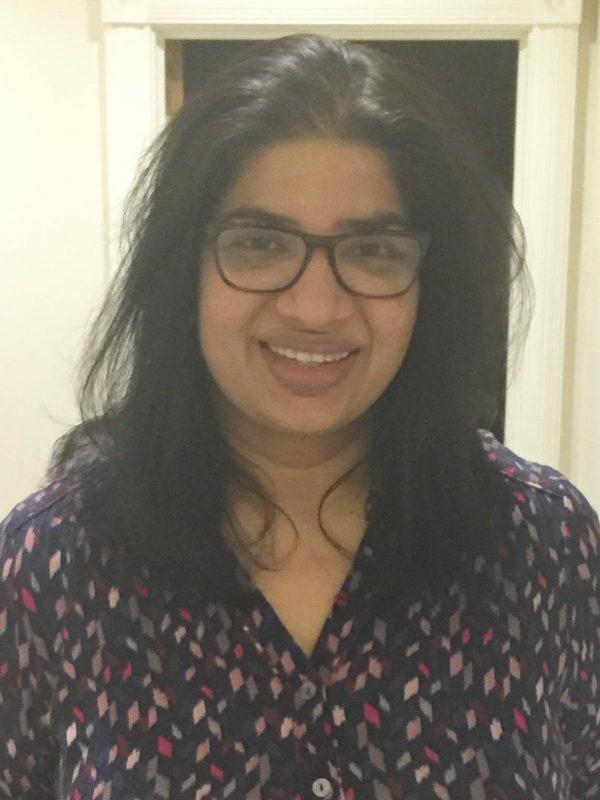 She then trained as a Neurology Specialist Registrar in the West Midlands before taking time out of her training to pursue research into idiopathic intracranial hypertension (IIH) as a Medical Research Council, Clinical Research Training Fellow at the University of Birmingham. She attained her PhD in 2010 which addressed the impact of weight and glucocorticoid metabolism on IIH. She completed subspecialty training in headache at the National Hospital for Neurology and Neurosurgery. She now works as a NIHR Clinician Scientist in Neurology with a role combining clinical, in-vivo and in-vitro research into IIH and the neuroendocrine aspects of headache. She is setting up specialist headache services at the Queen Elizabeth Hospital Birmingham and has a specific interest into headaches relating to changes in intracranial pressure. Dr Nicholas Silver is a Consultant Neurologist at the Walton centre for Neuroscience NHS Foundation Trust, where he runs a clinic for refractory headache disorders. He trained in London at Queen Square and Barts/The Royal London. He did a PhD in magnetic resonance imaging and inflammatory/toxic neurological disorders before pursuing a specialist interest in headache disorders. 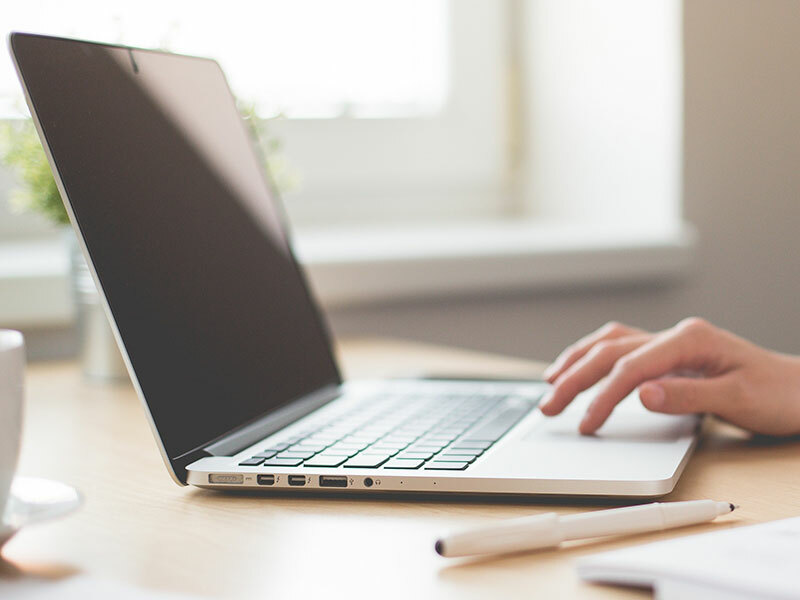 He has a particular interest in non-headache symptoms and associated menifestations of headache disorders, particularly with regard to migraine as well as a clinical interest in the association between sleep and headache disorders. Dr Tyagi is a Consultant Neurologist based at the Queen Elizabeth University Hospital, Glasgow. He trained in General Neurology and has a particular interest in the diagnosis and management of headache disorders. He has established and developed a headache clinic on the NHS and has been instrumental in the training of a number of medical and nursing professionals who now practice headache medicine in the West of Scotland. 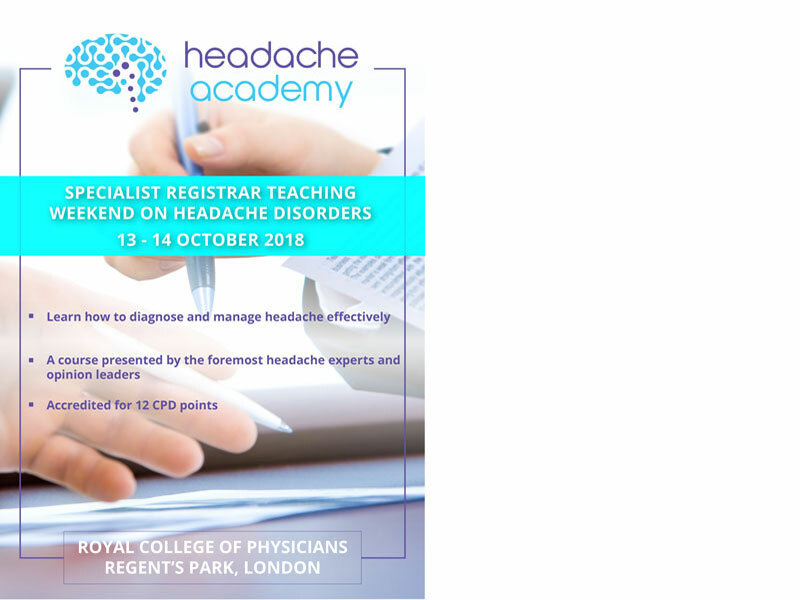 He has a particular interest in delivering teaching in headache disorders at both undergraduate and postgraduate level and is a regular speaker at headache meetings in the United Kingdom. 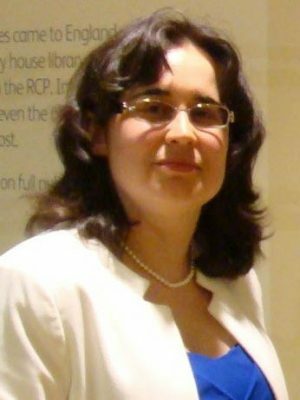 Dr Jitka Vanderpol has been a Consultant Neurologist in the UK since 2005, leading the Cumbria Headache Service she established in 2012. 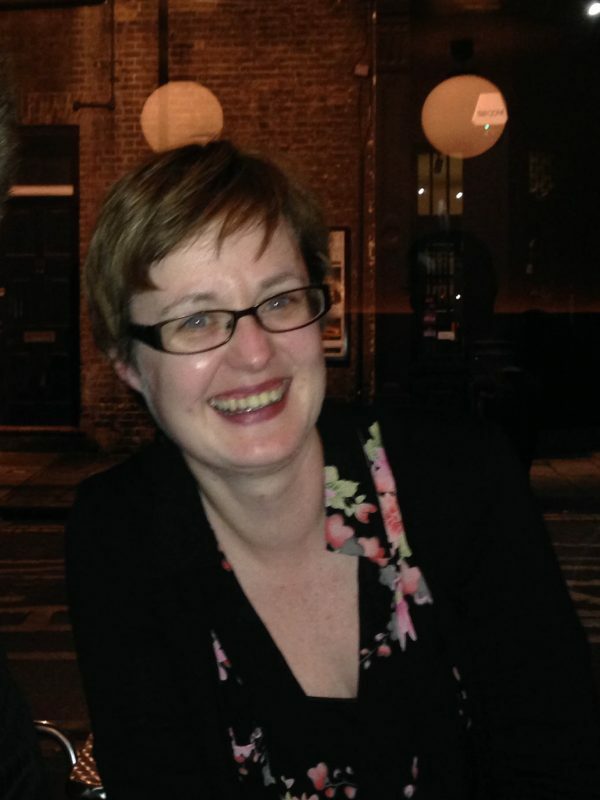 She is the Clinical Director for Neuroscience Development in Cumbria, developing ‘Close to Home’ neurology service. Dr Vanderpol established an educational platform Cumbria Headache Forum in 2014. Dr Vanderpol graduated from 1st Medical faculty Charles University in Prague, with honors in 1998. She become Fellow of Royal College of Physicians in London in 2012 and completed her MBA (exec.) with merit at Durham University Business School in 2014. Dr Vanderpol is an Innovative award winning clinician and researcher, leading on novel headache research. She was awarded 1st Place Category Innovative Technology or Device at The Bright Ideas in Health Awards 2015. 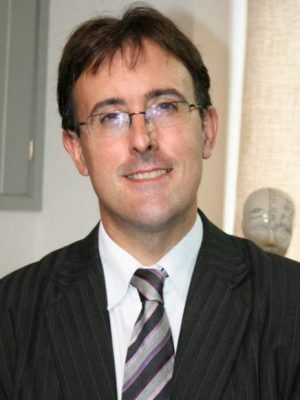 Dr Mark Weatherall is Consultant Neurologist to the Imperial College Healthcare and Ealing Hospital NHS Trusts. Educated at Abingdon and Selwyn College, Cambridge, where he read medical sciences, he pursued a career as a medical historian for six years before completing his clinical training. He trained in neurology at Oxford, Nottingham, Preston and Manchester, before an interest in headache brought him to the National Hospital for Neurology and Neurosurgery, where he was a clinical fellow in the Headache Group run by Peter Goadsby and Holger Kaube. He sees patients at The Princess Margaret Migraine Clinic at Charing Cross Hospital, and also in a headache clinic at Ealing. His clinical and research interests centre around chronic headache disorders, in particular medication overuse headache and new daily persistent headache. Dr Weatherall is the Vice-Chair of the British Association for the Study of Headache and have been a Trustee of The Migraine Trust.